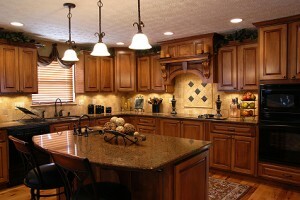 When beginning a kitchen or bath remodel, the first question to ask is why? Your answer may be to update style, function or both. The “why” makes a difference for the starting point of your design. One of the best ways to start your kitchen/bath design is to take a look at the multiple trade publications available in the market. These publications provide excellent combinations of colors, styles and features that provide inspiration for your project. K2GC tailors your information and design ideas to meet your specific needs. We do this with multiple appointments. At our first meeting, we gather measurements and information regarding the original layout and your design ideas. During the second meeting, we provide a basic overview of the project and begin to narrow selections in order to provide an accurate project estimate. With the final meeting, we can provide detailed drawings of the new design with a line item estimate. We take time with you to discuss your project and answer any questions you may have.